Fluted round brilliant cut diamond solitaire engagement ring with tall 6 claw setting, open shoulders and fine tapering band with a court ring profile. 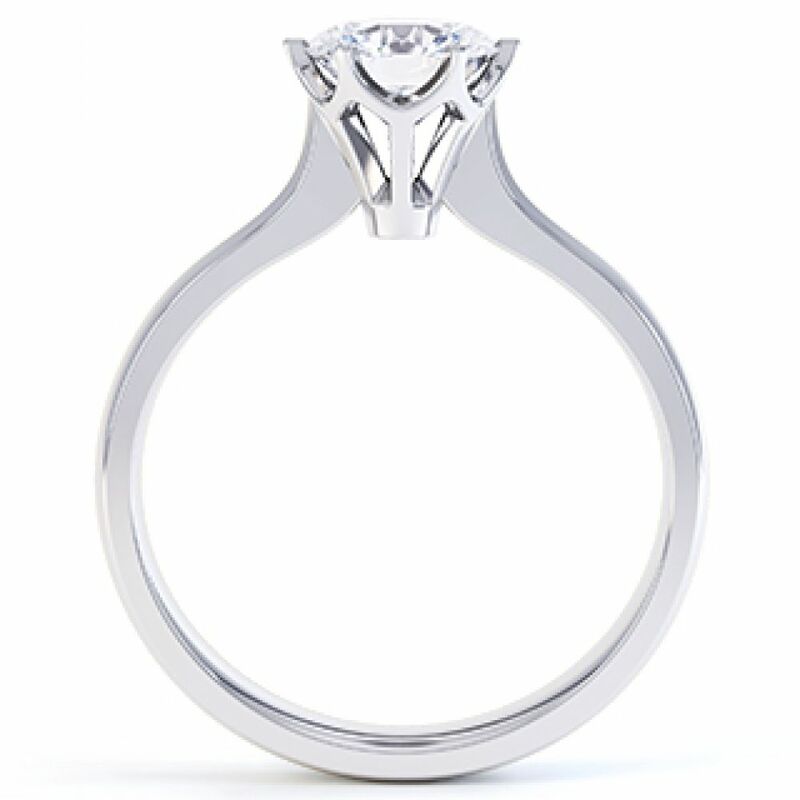 A beautifully designed Engagement Ring with a geometric lattice setting design. Elegantly styled with 6 claws, this fluted ring design features slim, tapering shoulders. 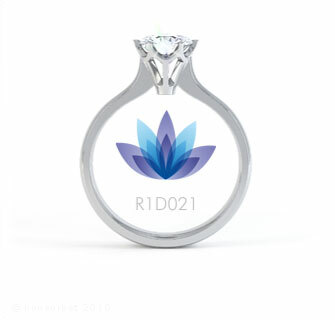 Your Diamond will be secured within this beautifully proud, elegant Engagement Ring design. You choose the Diamond specifications and the precious metal, and you will have a ring hand picked by you. Luxuriously boxed and gift packaged, your ring will arrive straight to your door by a trusted courier. This ring design is crafted with care and attention over 3-4 weeks and benefits from the following features. Flute - R1D021. A Round Brilliant Cut Diamond Solitaire Engagement Ring in Platinum, set with 0.50cts FSI1 Diamond. I am in love with my ring, it it everything I wanted and more! Quality is perfect!